Bathelen's Nails: piCture pOlish Shocked! Hi all, hope you are well! 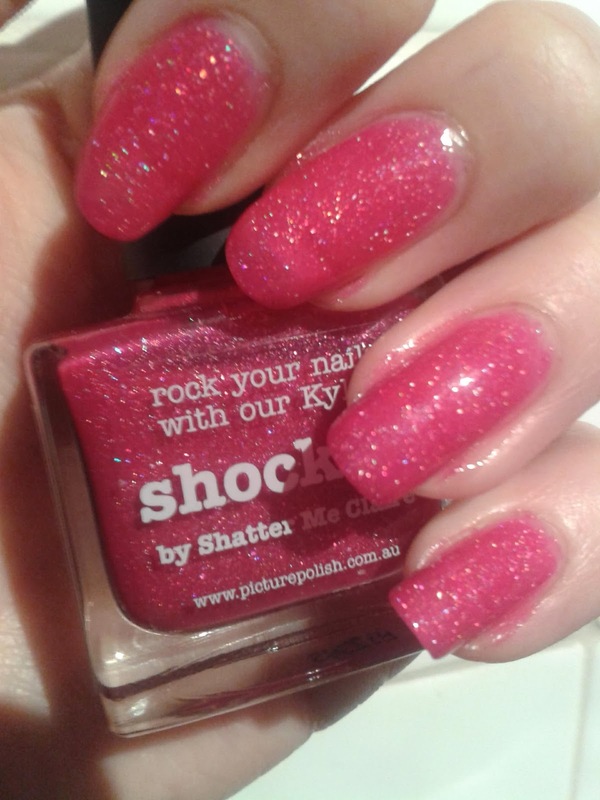 As I mentioned in a previous post I'm not usually a wearer of pink, give me a blue, green or grey any-day, but a few polishes have recently drawn me to the Bright Side, one of them being Barry M Birthday as reviewed the other day, the other is the simply stunning piCture pOlish Shocked. Shocked was designed in collaboration with a nail and beauty blogger, which is another reason I am such a fan, I love the fact that they reach out to and work with bloggers. But enough of my love for the brand, now for my love for the polish. Mentality and a little bit of Eurovision!